Climate change is a critical issue for heritage studies. Sites, objects and ways of life all are coming under threat, requiring alternative management, or requiring specific climate change adaptation. Heritage is key to interpreting the societal significance of climate change; notions (and images) of the past are crucial to our understanding of the present, and are used to prompt actions that help society define and achieve a specific and desired future. Climate change and heritage practice: adaptation and resilience. 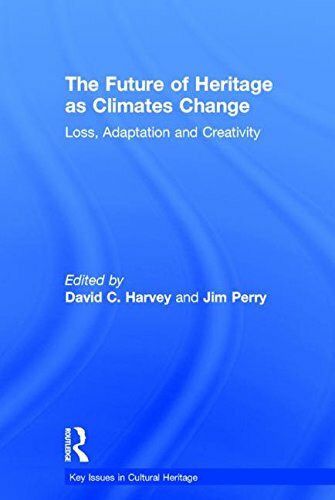 The Future of Heritage as Climates Change provides scholars, managers, policy makers and students with a much needed examination of heritage and climate change to help make critical decisions in the next several decades.